Kochi is a cornucopia of culture and cuisine. Some of the most prominent landmarks include the 16th century Mattancherry Palace and the gorgeous Cherai Beach. To discover Kerela's backwaters and diverse neighborhoods rent a car in Kochi without a driver. It will allow you to explore the entire city hassle-free on your own terms. Rent a car at Kochi Airport from Avis and set out to discover the rich experiences Kochi has to offer. St Francis Church holds a popular place in History. It is the place where the famous Dutch explorer, Vasco-da-Gama was originally buried. Its well known and admirable structural design and ambiance give a feel of deep Dutch and Portuguese influences. St. Francis Church is an architectural marvel in itself. Gift yourself a joyful ride towards St. Francis Church as your Avis self-drive car travels in Kochi. The Mattancherry Palace or Dutch Palace is interspersed with colonial influences making it one of the finest examples of the Kerala style of architecture. The Dutch Palace is a double storied palace with a mesmerizing collection of murals depicting some of the great Indian epics like Ramayana and Mahabharata. It also holds murals of revered Gods of the Hindu faith like Lord Krishna of Guruvayur Temple. 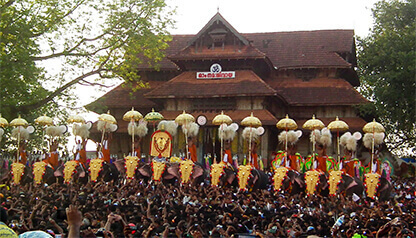 It is home to the deity of the royal family, Pazhayannur Bhagavathy (the Deity of Pazhayannur). Pareekshith Thampuran Museum will take you on a journey back to the history of the 19th century with its paintings and its archaeological artefacts. This museum is also home to paintings of ancient monuments, scriptures, and coins made of stone and plaster of Paris. Most of these historical items and objects belong to the Royal family of Kochi. Pallipuram Fort was erected by the Portuguese in 1503, making it one of the oldest European forts of India which houses a rich cultural heritage. It is situated in the extreme northern part of the Vypeen Islands and heralds a glorious past within the territory of Kochi. A church designed by the Portuguese, Santa Cruz Basilica in Kochi is one of the eight Basilicas in India. It is located close to the famous St. Francis Church. It is a heritage building in Kerala and also one of the finest cathedrals in India. It serves as the cathedral church of the Diocese of Kochi. 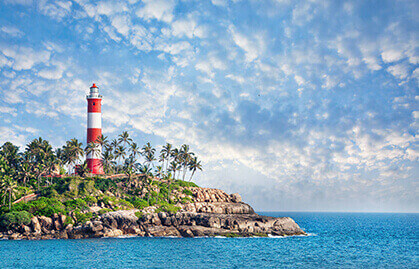 Bolgatty Island is located near Fort Kochi in Ernakulam district and it is famous for its picturesque surrounds along with its growing cosmopolitan hub. The Bolgatty Palace was originally built by the Dutch 1744 but it was eventually acquired by the British. Gundu Island is the smallest in the Kochi region spreading over five acres of land. It is accessible only by boat from Vypeen. This island was declared to be a part of Kochi in 1967. Its idyllic ambiance call out to a swarm of visitors who soak in its gentle breeze and pristine surroundings. The island is a charming combination of seeping waves, incredible scenery, and a peaceful atmosphere. The temple town of Sabarimala is nestled amongst the dense forests and babbling streams on the Pampa banks. It is named after the mythological character Sabari sheltered in the famous Ayyappa temple. People believe that Vishnu's incarnation Parasurama had placed the Ayyappa Idol on top of the mountain. 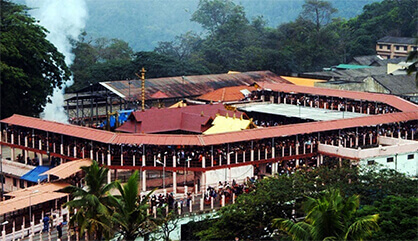 Sabarimala Temple receives more than 30 million pilgrims from all over India and abroad making it the largest pilgrimage site in India. Rent a self-drive car in Kochi from the Airport and ride for approximately 150 km to reach the Sabarimala Temple. Munnar is breathtakingly beautiful and forms a haven of peace and tranquility making it an idyllic tourist destination in God's own country. 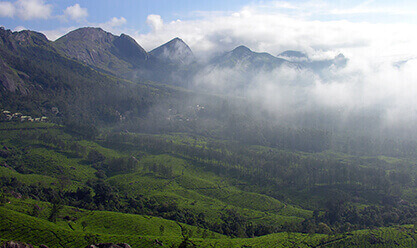 Munnar is popular among tourists today for the never-ending expanse of tea plantations, majestic hills, pristine valleys and exotic variety of flora and fauna. It was in its wild sanctuaries and forests. The aroma of spices in the air tingles and tantalizes the senses. Try the Avis car hire in Kochi and travel 130 km all the way to Munnar to discover the untouched beauty of the hills and valleys. 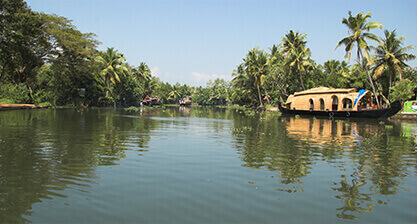 Located 94 km away from the Kochi airport, The village of Kumarakom is a cluster of little islands on the Vembanad Lake. It forms a part of the Kuttanad region. For a nature lover, the bird sanctuary here spread over 14 acres becomes home to a huge variety of migratory birds. You can find Herons, Egrets, Teals, Waterfowls, Cuckoo, Wild Duck, Darters and other exotic birds like the Siberian Stork which fascinate all tourists. 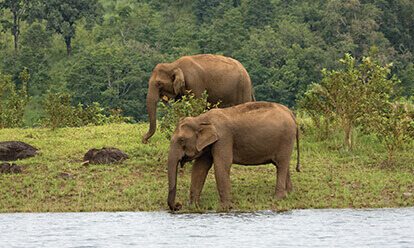 For nature freaks who also like adventure, Thekkady forms an ideal location. You can spot elephants and revel in unending chains of hills along with the spice scented plantations. Rent a car in Kochi with the driver all the way to Periyar National Park in Thekaddy to fully get involved in the charms of nature without fatigue. The National Park has become a major attraction where you can enjoy bamboo rafting in the catchment area of Mullaiperiyar Dam. You can go hiking in the hills and shop till you drop in the midst of the wilderness! Take a break in the vast stretches of spice gardens and enjoy various adventure sports. A night trek in the wilderness of Periyar is only for the brave-hearted. An internationally renowned beach with three adjacent cresent beaches, Kovalam has been a favourite tourist spot since 1930's. With plenty of diverse leisure options like sunbathing, swimming, herbal body massages, catamaran cruising and special cultural programmes, Kovalam treats you like a royalty. Here you can easily find a variety of budget cottages, ayurvedic health resorts, shopping zones and swimming pools that make for a brilliant holiday destination. You can hire an Avis luxury car rental in Kochi and travel to Kovalam for holidaying like a celebrity. Extremely famous for its beautiful backwaters, the city of Alleppey in Kerala is also known for its beaches, temples and traditional boat races. This popular tourist destination also has some very well reputed Ayurvedic spas and wellness centers. The city of Alleppey in Kerala has impressive beaches, temples and beautiful backwaters. The reputable ayurvedic spas and wellness centers here provide a superlative experience with massages and other calming therapies. 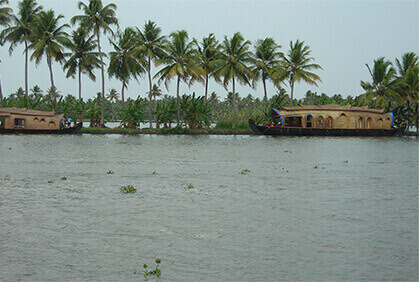 Alleppy runs along the Arabian Sea and it is the oldest planned backwater town in Kerala. The sight of many rivers crisscrossing the sea along with canals, backwaters, beaches, and lagoons gives this place the name “Venice of India”. Kottayam is “the land of letters, latex, and lakes” and an important trading center of commercial crops, sweeping backwater stretches, lush and green paddy fields. The high lands in Kottayam are the site kept for extensive rubber plantations. 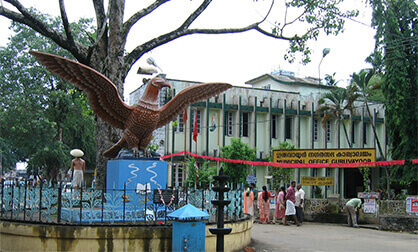 Kottayam also boasts of 100% literacy rate which is both inspiring and enviable. 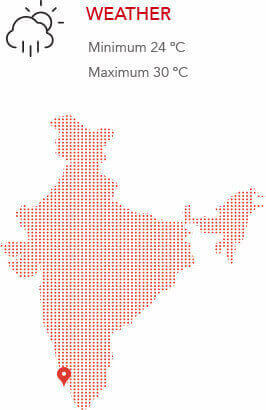 It is also the first city to be a part of an ‘Eco-city project’. Get your self-drive car rental in Kochi and travel from the airport in your hired car towards Kottayam which is 60 km away. Thrissur is blessed with numerous tourist attractions including palaces, churches, hills, natural views and temples. Apart from these other natural settings include fine beaches, waterfalls, and backwaters. It is an ideal location for nature lovers to indulge in some wildlife and birdwatching experiences. A lot of tourists who come here take back a souvenir in the form of local handicrafts that include bell-metal curios, hand-crafted gold ornaments, textiles, and brass work. Shakthan Thampuran Palace, Archaeological and Art Museum, Vadakkunnathan Temple and Guruvayur Temple are some of the famous locations in Thrissur where you can visit with your self-drive rental car in Kochi. Guruvayur is located 29 km north-west to the cultural capital of the "God's own country", Kerala. This narrow coastline strip of land on the south-western edge of the Indian subcontinent is one of the 10 paradises in the world. Its scenic beauty and serenity are breath-taking. 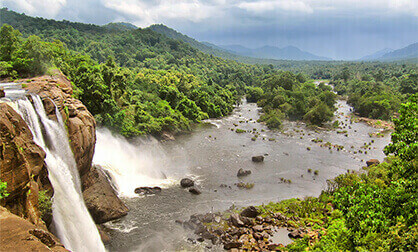 Athirappally is among the grandest and bewitching waterfalls in Kerala. At Athirappally, the water crashes into the Chalakkudy river with a depth of 80 feet. A cool spray takes over the terrain and people are left enchanted at this natural wonder that presents a stunning backdrop. Bollywood movies and songs like “Dil se”, “behne de” from “Raavan” and parts of the film “Guru” have been shot here.